I’m thrilled to participate in the 12 Days of Clink Street Blog tour today. 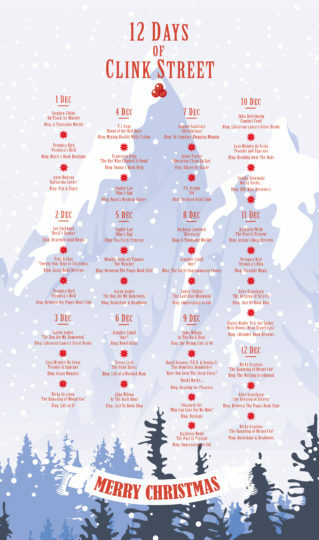 There are so many wonderful blogs hosting all kind of books for adults and kids throughout these twelve days. Be sure to check them out all the stops on the tour through the links at the bottom of this post! I chose to feature a fun children’s book that reminded me so much of our boys when they were little. It’s a glorious day and two brothers are super excited to be going to the pool….there is just one condition, they have to clean up their toys. First, they have to start in the lounge where they have Grand Central Station all setup. The boys are worried if they take it apart, the passengers won’t make their trains. The rest of the cleanup missions take them through various rooms of the house all full of elaborate castles or mountains that must be taken apart. Each room has a whole story taking place that the boys hate to take apart but know they must if they are want to go to the pool. With each room (including a bathroom, stairway, and garden) the boys created scenes full of wild imaginations and are so great at playing pretend. This seems to be a missing play-time activity among kids today and I love that this book brings it back. There is so much to look at in the illustrations the kids will enjoy finding all the unique toys used in each room and then on the following page, the same scene is shown as you can imagine the boys envision it in their minds. 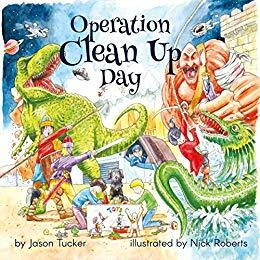 I wish I had had this book when our boys were young to encourage pretend play and imagination, but also to encourage them to clean up their toys! It was a constant struggle, but in this story, these brothers learn it might be better to clean up as they plan since it took so long to clean up everything and then they had less time at the pool. I’m hoping, for their mom’s sake, they stay ahead of the cleanup game! This also makes for a fun read-aloud due to the rhyming text. 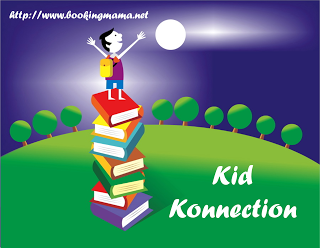 Both parents and kids will be able to identify with the characters in this story and it may just inspire your kids to play with imagination and maybe, clean up after themselves! Check out this previous blog tour I did with Clink Street Publishing, HERE.